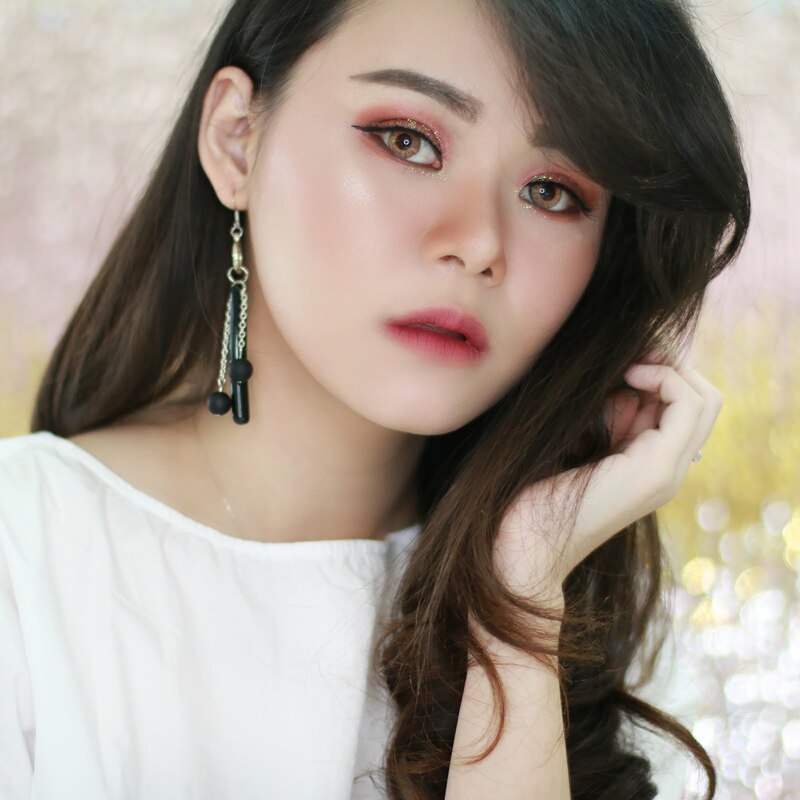 Today I am back again with another ootd post. Still same with my latest ootd post which is "My Vintage Looks", this time I coordinated floral dress with denim dark blue outer. First of all please excuse the lighting because I took this picture on the night. Dress and outer/blazer is my essential wardrobe items. Most of my outfit is blue. You might mistaken that my favorite color is blue. My favorite color is pink actually, but for outfit, I tend to choose denim or blue since it is easier to coordinate that color with any outfit. I bought this dress couple weeks ago on a bazaar at Central Park. This type of dress, I have 3 or 4 of them in same cutting but different pattern and color *I told you, this kind of dress is essential for me*. Funny fact is I bought all of them at different place, mostly is online. The dress itself is a white based dress with cream lace details also flowers and sky blue line details circling the dress. From all of my dress *with same cutting like this*, this one is my favorite. It's simple but the pattern is so girly. What do you think? 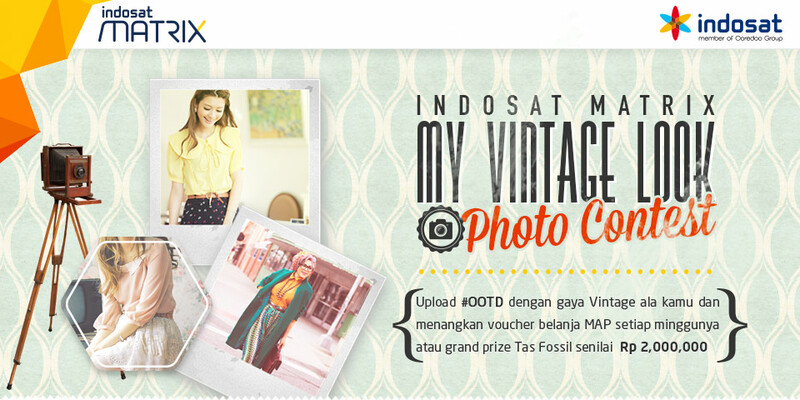 Do you know that Clozette Indonesia x Indosat held a Vintage Style photo contest right now? You can win MAP Voucher every week, or get the grand prize which is a Fossil Bag worth 2.000.000? They already announced last week winner on their Instagram.